Venezuela’s government, striving to legitimize President Nicolas Maduro’s grab for control, said that more than 8 million people participated in a vote to rewrite the constitution even though polling places and streets were mostly empty and quiet. The constituent assembly chosen Sunday will meet as soon as this week to discuss changing the charter rewritten under former socialist leader Hugo Chavez, who is still revered as the inspiration for the revolution that Maduro claims to lead. The opposition says the rewrite is meant to replace a critical congress and delay general elections. 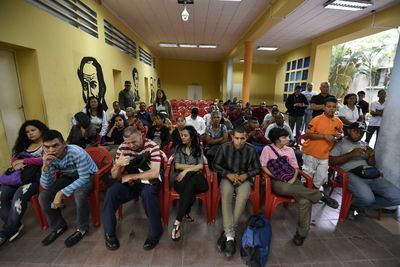 Voters wait to cast their ballots in downtown Caracas on Sunday, July 30. National Electoral Council head Tibisay Lucena said late Sunday that more than 41 percent of the country’s voters took part, for a total of 8.09 million people. That figure would surpass Maduro’s own election results in 2013. The opposition said it estimated only about 15 percent took part, while Torino Capital said its exit polls showed participation of about 3.6 million. Humberto Pelaez a 71-year-old cab driver, said he voted in central Caracas because he wanted to bring peace to his country, but that turnout was poor compared with previous years. "Under Chavez, elections were a party,” he said. “There’s hardly anyone now. The government isn’t governing for everyone." Sunday’s vote was a watershed moment in Venezuela democracy’s slow crumbling. It prompted anger from the U.S. and other Latin American nations. With the constituent assembly installed, Venezuela is poised to become the world’s newest dictatorship, with Maduro heading a country with vast oil resources, but a ravaged economy and riven society. Attention now turns to whether the U.S. will fulfill threats to increase sanctions against individuals in the Venezuelan government or apply more painful restrictions that could curb the flow of dollars to the administration. The opposition called on supporters to protest in major cities Monday against the assembly and what they see as an increased crackdown by authorities. More than a dozen people died Sunday alone around the country as security forces clashed with demonstrators. Bets on a Venezuelan default are climbing. The implied probability of the country missing a payment over the next year has risen to 62 percent, according to Bloomberg data on credit-default swaps. That’s the highest level since March 2016. Investors’ bets reflect international concerns about the nation’s shaky political underpinning. The European Union “has grave doubts” about whether the election results can be recognized, spokeswoman Mina Andreeva said Monday. Brazil, Colombia, Peru, Argentina, Chile and Panama issued statements saying they wouldn’t recognize Sunday’s vote, while U.S. ambassador to the United Nations Nikki Haley said she would not accept an illegitimate government. “Maduro’s sham election is another step toward dictatorship,” she wrote in a post on her Twitter account. After several months of protests against Maduro, about 110 people have died with thousands more injured and jailed, according to the public prosecutor’s office. Maduro’s six-year term would end in early 2019, although critics have speculated the constituent assembly could delay elections indefinitely. Hermann Escarra, a constitutional lawyer who helped craft the country’s current charter and is advising Maduro on attempts to rewrite it, said Friday that the assembly would convene Aug. 3 and quickly move to reorganize the public prosecutor’s office. Its current head, Luis Ortega Diaz, has emerged as one of the staunchest critics of Maduro inside the ruling socialist party. Sector-wide sanctions could prove devastating given the two countries’ close economic ties and the dire state of Venezuela’s finances. The U.S. buys about a third of Venezuela’s crude production and is the main buyer that pays in cash. Maduro was undeterred by U.S. threats of retaliation. Sunday’s voting was monitored by a massive deployment of police and soldiers, and at many polling places, lines were filled with the elderly and pensioners. The mood stood in stark contrast to an unofficial referendum the opposition organized two weeks ago to reject the assembly. Organizers said about 7.5 million voted that day. Crowds gathered to chant and sing against Maduro. 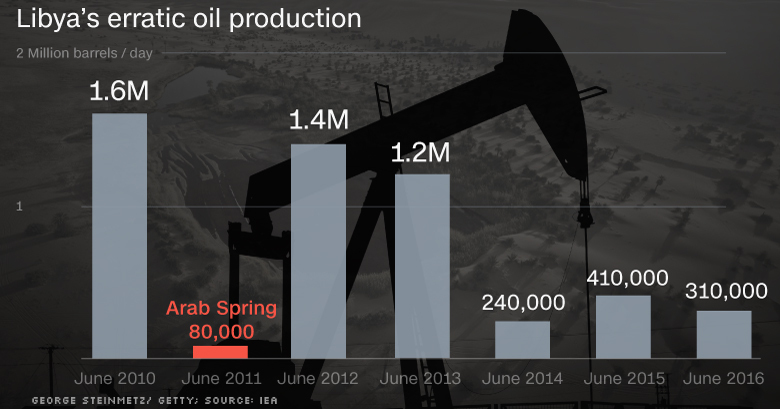 The month of July has seen Libyan production top one million barrels. Currently the North African country is seeing flows of 1.069 million bpd, Reuters quoted a Libyan oil source as saying. The figure is above a high of 1.05 million bpd reached earlier this month. Libya’s production levels have been on a rollercoaster ride ever since the civil war to oust long-time dictator Muammar Qaddafi. Over the past several months the country’s production has seen a slow but steady increase. This year represents a unique time period, as OPEC takes on the responsibility of rebalancing global fundamentals in an effort to boost oil pricing. These efforts along with favourable oil economics have supported an emergence of a new tanker trading route and the recovery of an existing one, both of which have provided some relief for VLCC owners operating in the Atlantic Basin in a depressed market, McQuilling Services said in an industry note. The resurgence of US shale production coupled with higher Canadian output has considerably boosted crude supply within North America, allowing domestic US producers to expand their presence in distant export markets. This expanding supply has placed pricing pressure on WTI-linked grades, allowing them to become more competitive to Far East refiners. Further analysis of the landed transportation costs shows the arbitrage opportunities Eastern refiners seek to increase profitability through US Gulf sourcing. A steady discount on the landed cost of shipping crude from the US Gulf to China on a VLCC versus barrels from West Africa was seen, averaging around $1.23 per barrel during 2017. Export volumes out of the US Gulf to the East have surged with 24 VLCC cargoes making the trip year-to-date, compared to just seven in 2016, according to McQuilling’s vessel position data. Through the first quarter of 2017, a 61% rise was seen in tonne/mile demand out of the US Gulf over 2016’s full year average with notable expansion witnessed to both the Far East and Southeast Asia. Exports continue to expand into new markets as the India Oil Corp (IOC) purchased its first cargo of US crude this month. For the remainder of this year, McQuilling forecast US Gulf export volumes to remain relatively healthy on the back of rising crude production in the US and flat production growth in the Middle East. Specifically, the USG/Far East trade is projected to make massive gains in VLCC demand growing from 1.4 bill tonne/miles in 2016 to 73 bill tonne/miles in 2017. However, in the near-term there could be some downside risks stemming from rising supply in West Africa and a potential rebound of Middle Eastern exports. Nigeria posted its first year-on-year increases in crude output in May and June this year, since 2016, indicating a recovery in upstream operations. This coupled with declining US crude inventories could place some pressure on the West Africa transportation premium and reduce the opportunity for US Gulf arbitrage flows to the East. Compliance to the OPEC-led production cuts significantly declined in June, as total output rose and Ecuador publicly announced its inability to commit to the supply accord. A potential rebound in Middle Eastern crude supply could reduce regional benchmark pricing and induce refiners to source additional barrels. Further to the south, a rebound in Brazilian crude production has been boosted by the addition of several FPSOs in the Campos Basin. Rising output continues to outpace local demand growth, expanding the crude surplus to over 900,000 barrels per day in recent months. VLCC owners in the Atlantic Basin have enjoyed steady long haul cargo opportunities out of East Coast South America to the Far East with 42 voyages recorded thus far this year, compared with 29 in the same period of 2016. With just 48,000 barrels per day of additional refining capacity expected in Brazil this year, export volumes are likely to stay healthy. McQuilling said it remained bullish on Brazilian trades to the East. Overall, VLCC demand from the EC South America is expected to expand by 6.6% this year with gains to the Far East and India offsetting slight declines to Southeast Asia. Owners operating in the Atlantic Basin have found some relief in terms of better earnings, as the MEG suffers from lower export volumes and an oversupply of disadvantaged vessels. Year-to-date, the Brazil/East trade has seen earnings average $24,152 per day on a round trip basis, which when applied to the 79-day voyage, equates to about $1.89 mill in earnings. The year-to-date average earnings for TD3 amounts to $1.19 mill for the round trip voyage, considerably lower than the Brazilian trade. Similarly, the MEG/China route has returned greater earnings for owners with the year-to-date average net revenue earnings pegged at $2.29 mill. While activity along the MEG/US Gulf route has been reduced, in the event that an owner manages to fix on this trade, they will find improved earnings by triangulating MEG/US Gulf/China with year-to-date TCEs registering $29,918 per day of $6.1 mill for the 112 day voyage, McQuilling concluded. The central bank of Belarus has cleared the way for domestic banks to use blockchain as part of their processes of transmitting bank guarantees. The move, revealed late last week by the National Bank of the Republic of Belarus, came as part of a wider initiative focused on the tech, which saw the central bank organize and oversee its own blockchain network through its Settlement Center. Notably, the National Bank indicated that its use of the tech was not related to digital currencies, clarifying that "at the same time, there are no any conceptual restrictions as to the areas of the blockchain use in the IT sphere". According to a 19th July statement, a resolution on blockchain was issued earlier this month by the central bank, aimed at opening up the tech for use by Belarusian banks to issue bank guarantees, or promises to cover losses on debt. "The new mechanism of maintenance of the register of bank guarantees will ensure the mutual access of the economic entities of the states being members of the Eurasian Economic Union to the procedures of the government procurements of goods (works, services)." Next steps, the statement explained, include applications in the Belarusian stock market sector, including its over-the-counter marketplaces for securities. "The implementation of the project will make it possible to organize this register on the qualitatively new level, that will create conditions for improvement of transparency and further development of the stock market in the Republic of Belarus," the central bank said. Nuns based in Pennsylvania, US, are resisting plans to build a $3 billion pipeline for gas obtained by fracking through its land by creating a rudimentary chapel along the proposed route and launching a legal challenge, citing religious freedom, according to media reports. According to the Guardian, the Adorers of the Blood of Christ order has filed a complaint against the Federal Energy Regulatory Commission (FERC) in a bid to keep the pipeline off their land. The nuns’ lawyers argue in court papers that a decision by FERC to force them to accommodate the pipeline is “antithetical to the deeply held religious beliefs and convictions of the Adorers”. The Adorers, an order of 2,000 nuns across the world, have made protection of the environment central to their mission. The plan for the pipeline “goes against everything we believe in – we believe in the sustenance of all creation”, Sister Linda Fischer, 74, told the Washington Post. The 183-mile Atlantic Sunrise pipeline is “designed to supply enough natural gas to meet the daily needs of more than 7 million American homes by connecting producing regions in northeastern Pennsylvania to markets in the Mid-Atlantic and southeastern states”, its website says. Qatar Gas Transport Company and Norwegian shipping business Hoegh LNG have embarked on a joint project to open new markets for Qatar to sell its liquefied natural gas (LNG) via floating import terminals. Hoegh LNG, a developer of floating LNG import terminals, expects to start work on the import terminal project in a matter of months, CEO Sveinung Stohle told Reuters. Stohle said Hoegh LNG and Qatar Gas Transport Company, which operates a large fleet of LNG tankers, are evaluating countries in which they could establish a floating terminal, naming South America and south-east Asia as attractive prospects. Top LNG producer Qatar, which is in the midst of a diplomatic crisis that erupted when Saudi Arabia and other Arab states cut diplomatic and transport links with Doha in early June, faces tough competition for global market share as new suppliers from Australia and the United States ramp up exports. The tiny Gulf state lifted a self-imposed moratorium on new production in April and this month caught rivals off guard by embarking on plans to boost LNG output by 30 percent to 100 million tonnes a year. With large supply deals with Japan expiring early in the next decade, Qatar will need to stimulate fresh demand for its LNG. "The whole strategy behind this agreement is to find new markets for Qatari LNG," Stohle said. The country's LNG producers Qatargas and Rasgas are not directly involved in the deal. The terminals, which are also known as floating storage and regasification units, are useful for developing countries seeking access to cheap gas on tight budgets. Floating LNG terminals have shaved years off the time needed for new customers to access supply and are also cheaper than traditional land-based facilities. A near 70 percent drop in spot LNG prices since February 2014, owing to falling Asian demand, is attracting poorer countries that had previously been excluded from gas trading. A total of 40 floating import terminal projects exist in varying stages of development across the globe. Hoegh LNG operates seven and has a further three on order from shipyards, Stohle said. "We have drawn up a list of different potential projects that we will look at in detail," he said, adding that any new projects with Qatar's LNG shipping company will require new terminals to be built. 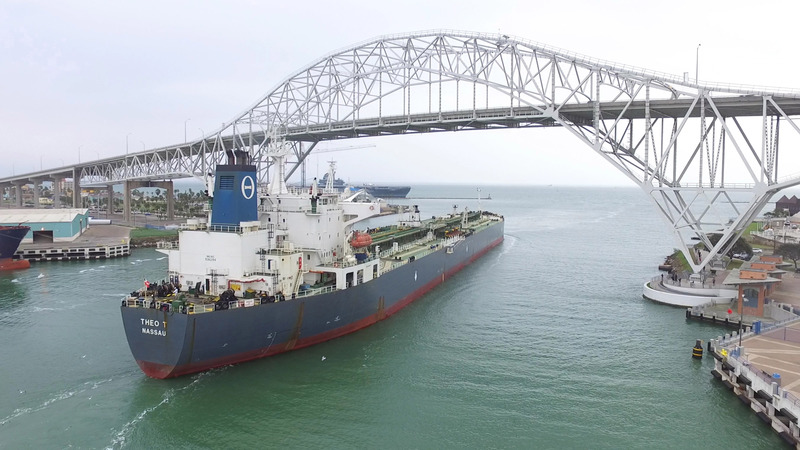 The Port of Corpus Christi announced the approval of a long-term lease agreement with Maverick Terminals Corpus LLC, a subsidiary of Howard Energy Partners. The 30-year lease agreement was approved unanimously by port commissioners for approximately 41 acres of land on the north side of the Corpus Christi Ship Channel in the Inner Harbor. With the expansive growth in both Eagle Ford and Permian Basin productions and the growing global energy demand in general and in particular in Mexico, Corpus Christi is fast emerging as the Energy Port of the Americas. As the largest refining center in close proximity to Mexico Corpus Christi continues to see large investments in supporting the transportation of US energy to Mexican consumers. Howard Energy Partners, a full-service midstream company based in San Antonio, has emerged as a strong player in the energy space and continues to demonstrate leadership in developing projects on both sides of the border. Howard Energy Partners plans to design, construct, and operate a rail terminal, and a petroleum and petroleum products storage facility on the leased property. Further, Howard Energy Partners intends for this facility to connect with its proposed Dos Aguilas pipeline to Monterrey, Mexico. As part of the lease agreement terms the Port of Corpus Christi Authority will design and construct a new oil dock, Oil Dock 20. The Oil Dock 20 facility will initially serve Mexico’s transportation fuel demands by rail with an estimated target of at least two to three unit trains per week. Once the Dos Aguilas pipeline is permitted, constructed, and in-service, significantly more volume is anticipated. Further, the Oil Dock 20 is targeting crude exports to international markets and will have Suez-max capability. “Port Corpus Christi has secured its position as the number one crude oil export port in the United States. This major investment from Howard Energy Partners represents a shining example of why the Port of Corpus Christi is the Energy Port of the Americas,”said Charles W. Zahn, Chairman of the Port Corpus Christi Commission. “This lease marks a strategic and significant expansion of our terminal network, not only for refined products but for crude oil. We are excited about the opportunities for further development, and look forward to continuing to expand our relationship with the Port of Corpus Christi,” said Brad Bynum, Howard Energy Partners Co-Founder and President. September West Texas Intermediate crude oil futures are trading slightly higher shortly before the cash market opening. The market is also trading inside yesterday’s range, suggesting investor indecision and impending volatility. After a bullish U.S. Energy Information Administration inventories report sent the futures market to its highest level since June 7 early Thursday, sellers came in to drive the market lower, producing a potentially bearish closing price reversal top. Fundamentally, U.S. inventories fell across the board including crude oil, gasoline and distillates, but U.S. production continued to rise. Position-squaring ahead of the July 24 meeting in St. Petersburg, Russia between OPEC and non-OPEC producers led to the sell-off on Thursday. This news could hold prices in a range today. The main trend is up according to the daily swing chart. A trade through $47.74 will negate the closing price reversal top and signal a resumption of the uptrend. A trade through $46.81 will confirm the closing price reversal top. This could trigger the start of a 2 to 3 day correction with $45.79 to $45.32 the primary downside target. The primary upside target is a major retracement zone at $47.33 to $48.52. This zone is being defended by short-sellers. Based on the current price at $47.13 and the earlier price action, it looks as if the tone of the day will be determined by trader reaction to yesterday’s low at $46.81. A sustained move over $46.81 will indicate the presence of buyers. This could lead to a test of the main 50% level at $47.33 and a long-term downtrending angle at $47.49. This is followed by the reversal top at $47.74. The trigger point for a potential acceleration to the upside is $47.74. Taking out this level could generate the upside momentum needed to challenge the main Fibonacci level at $48.52. A sustained move under $46.81 will confirm the closing price reversal top. This could trigger an acceleration into the short-term uptrending angle at $46.08. This is followed by the short-term retracement zone at $45.79 to $45.32. A week with very low VLCC charter volumes increased the pressure on rates resulting in softening on some routes. The MEG August programme is about to start in earnest, but the tonnage list has grown considerably and charterers are ambitious, Fearnleys said in its weekly report. WAfrica/East was in a similar position with rates down on the back of sluggish activity. There is no immediate crash on the horizon, but rates were under severe attack, Fearnleys said. The Suezmax market developed a more steady note and settled into a summer mode with TD20 hovering around WS60. In WAfrica, end 3rd decade dates were mopped up by charterers during the latter part of last week. Some aggressive charterers even reached out to early second decade August dates with low rate ideas and were successful in capturing tonnage at below last done for named voyages to the US Gulf. It is hard to build a bullish picture for owners at present although is expected that WAfrican activity will pick up next week for 1st decade August and owners will be keen to reignite the sentiment flame if there is a flood of cargoes. Fundamentals in both the Med and Black Sea are pointing to a steady week ahead but charterers will need to drip feed the market to keep enthusiasm at bay, as currently TCE rates are paltry at best. There was very good Aframax activity in the North this week. Thus far, rates remain at last done, ie WS62.5 ex Baltic and WS90 for cross North Sea voyages. However, owners are holding back a bit aiming for higher than last done in the current fixing window. We expect this market to gain a few points for end/early fixing dates, Fearnleys said. Last week, an increase in Med and Black Sea activity was seen. The position list slowly became tighter and as such, owners managed to push rates into the low WS90s. An increasing amount of Libya cargoes was a key-factor and this may continue into August. However, this alone will not be enough to keep rates firming. Expect the rates to flow between WS80s and WS90s, Fearnleys concluded. In the charter market, timecharter rates were not very exciting. For example, brokers reported that SOLAL had fixed the 2003-built Aframax ‘Atlas Voyager’ for six months at $14,500 per day. MRs fared little better with NORDEN reportedly fixing the 2007-built ‘DL Cosmos’ for 12 months at $12,750 per day and Litasco taking the 2012-built ‘Grand Ace 12’ for six, option six months at the same rate. In the S&P market, brokers were circulating the 1998-built sister Aframaxes ‘Moscow’ and ‘Moscow Kremlin’ for sale for around $14.2 mill each. Elsewhere, the 2003-built Aframax ‘Seaborne’ was thought to be on subs to Indonesian interests at $10.9 mill, while Pantheon Tankers was said to have purchased the 2011-built ‘Phoenix Advance’ for $28.3 mill. The 2006-built MR ‘PTI Volans’ was believed committed to Island Navigation for $15.3 mill. Reported leaving the fleet were the 1990-built Aframax ‘Iron Monger 3’ believed sold to undisclosed breakers for $340 per ldt on the basis of ‘as is’ Khor Fakkan and the 1997-built Aframax ‘Bunga Kelana Dua’ thought sold to undisclosed breakers for $398 per ldt, ‘as is’ Malaysia. As for newbuildings, three Japanese companies were said to have ordered two Tier II MRs each at Hyundai Vinashin for $32 mill per ship on the back of long term charters to NORDEN. Oil bulls grappling with OPEC’s weakened resolve to curb output are also having to worry about waning demand in the world’s biggest buyer of overseas crude. 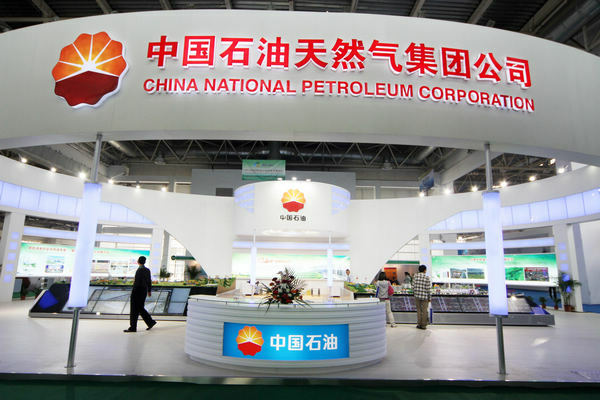 State-run China Petroleum & Chemical Corp., the globe’s largest oil refiner, will process about 1 million metric tons a month less than previously planned over June to August, according to people with knowledge of the matter. That’s because of weaker demand and increased competition from privately owned rivals, they said, asking not to be identified because the information is confidential. The reduction is equivalent to about 240,000 barrels a day. While that’s about 3 percent of China’s total crude imports, the curbs are being implemented during the summer, when the nation’s demand typically peaks just as it does in the U.S. Chinese drivers typically use more fuel as they crank up their vehicle’s air-conditioner when the sun is out, but are turning to alternative modes of transport such as natural-gas fired cars amid efforts to cut pollution. Oil is still in a bear market as some OPEC members comply less with pledged output cuts. U.S. West Texas Intermediate futures in New York traded up 0.3 percent at $46.55 a barrel by 11:22 a.m. London time, still more than 50 percent lower than three years earlier as a global market glut persists. Brent crude, the benchmark for more than half the world’s oil, is languishing near $49 a barrel, compared with its 2014 peak of more than $115. While the Organization of Petroleum Exporting Countries and its partners have an agreement to implement output curbs aimed at shrinking the oversupply and propping up prices, the International Energy Agency estimates that OPEC’s compliance with the cutbacks fell in June to the lowest level since the deal started in January. Any sustained rebound in prices will hinge as much on continued growth in China as on reduced supplies. Before the lower processing plan, China Petroleum & Chemical Corp. had a target to process about 20 million tons a month during summer. A Beijing-based spokesman for the company that’s known as Sinopec declined to comment. Gasoline demand growth in China, the world’s biggest energy user, will average 95,000 barrels a day in 2017, “dramatically” below gains of 230,000-290,000 barrels a day of the prior two years, the Paris-based IEA said in a report on July 13. Meanwhile, passenger-vehicle sales in the first half dropped for the first time in at least 13 years. “Fuel demand in China is being challenged by alternative transportation such as shared bicycles and natural gas fired cars,” said Guo Yifan, an analyst at Shanghai-based Sinolink Securities. She predicted the use of shared bikes in big cities may replace 1.27 million tons of gasoline demand this year while natural gas cars have already displaced 22 million tons of fuel used in transportation in 2016. The IEA last month cut its estimate for China’s 2017 total oil demand growth by 4 percent to 385,000 barrels a day. The nation’s apparent oil demand fell by 0.3 percent in April, with gasoline demand slipping by 6.3 percent, the first decline since September, according to data complied by Bloomberg. “Summer in theory should be the peak consumption season,” said Amy Sun, an analyst with Shanghai-based commodities researcher ICIS-China. 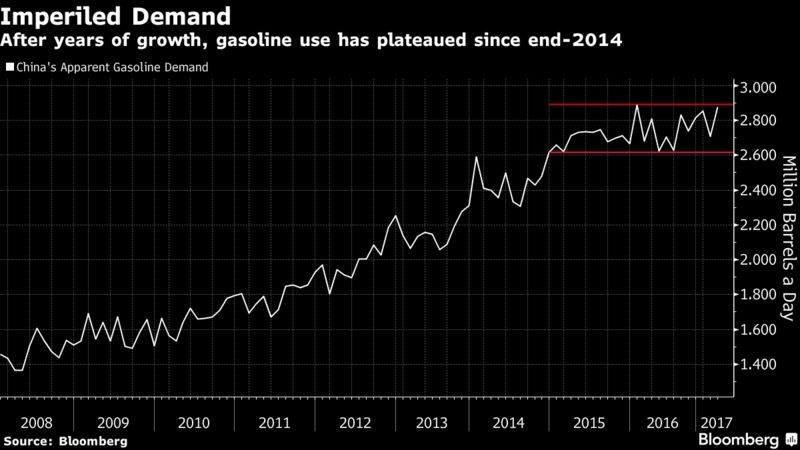 “But we’ve seen weak gasoline demand since April as well as huge competition from teapots,” she said, referring to the nation’s smaller, independent refiners. 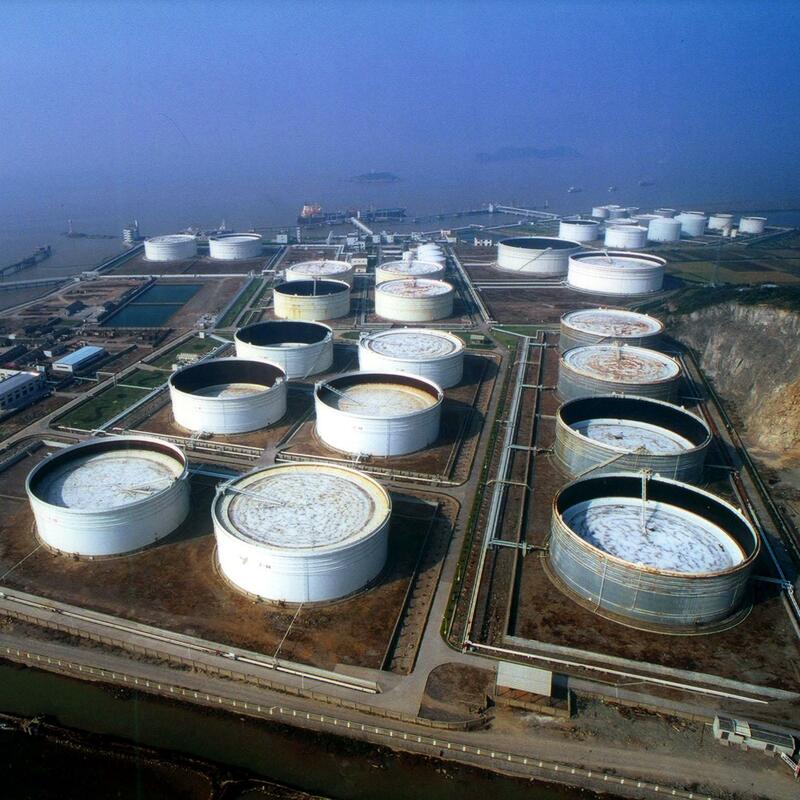 Operating rates at Chinese independent refineries rose to 65.14 percent in mid-June, the highest since December, according to data provided by SCI99. Sinopec raised its refining volume each year since 2005 until 2016, when the private processors started boosting operations armed with government approvals to purchase imported oil. Since May, Sinopec’s fuel stations have offered a discount of as much as 2.3 yuan per liter in the eastern Chinese city of Zibo, Shanghai Securities News reported last month. The latest American Petroleum Institute (API) inventory data for the week ending July 14th recorded a build 1.63 million barrels after the draw of 8.13 million barrels last week. Markets were expecting a draw of around 3.0 million barrels for the week with API reverting to the pattern of recording an unexpected increase in stocks. Gasoline was reported as a draw of 5.45 million barrels following a draw of 0.8 million barrels the previous week. Distillate registered a draw of 2.9 million barrels after the build of 2.1 million barrels previously. The fuel data had a significant impact in cushioning the market and offsetting the headline data, especially with optimism that the gasoline draw would help underpin refinery utilisation and support crude demand. Cushing registered a build of 0.61 million barrels which was the first build in 15 weeks. Oil prices secured net gains on Tuesday with eventual consolidation just below $46.50 p/b in WTI. Supply and demand factors were in relatively close balance with a weak dollar providing significant underlying support to prices during the day. From around $46.45 p/b ahead of the release, prices very briefly moved higher to the $46.60 p/b level before reversing sharply to near $46.10 and consolidating around $46.25 in choppy trading conditions. Wednesday’s EIA inventory release will again have a significant impact with all metrics under scrutiny. The US Energy Department expected shale output to increase in August for the 8th successive month and markets will be expecting a further increase in weekly production. scrutiny. The US Energy Department expected shale output to increase in August for the 8th successive month and markets will be expecting a further increase in weekly production. Maikanti Baru, MD of Nigeria’s NNPC, while speaking at the two-day Investigative Public Hearing of the House of Representative Committee on Petroleum Resources (Downstream), revealed that NNPC refineries were producing enough to supply more than 60% of the nation’s daily consumption. 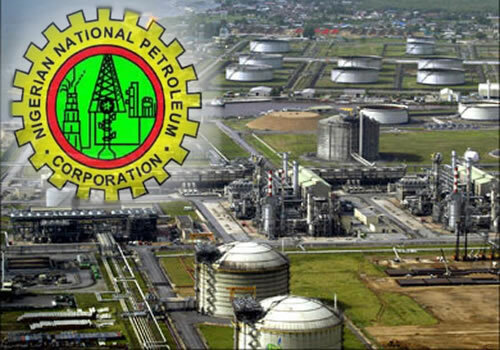 The MD, who was represented by NNPC’s COO, Downstream, Henry IkemObih, disclosed that the balance of three million liters of the needed kerosene was imported through private petroleum products marketers. “The NNPC ensures that the entire refining output in Nigeria through its refineries in Port Harcourt, Warri and Kaduna and any products imported by it to make up for market supply-shortfalls meet the specifications of the Nigerian Institute of Standard (NIS) and Standards Organization of Nigeria (SON),” Dr.Baru said. While NNPC maybe celebrating the 60% mark, if you check the blogs not a significant amount of congratulations is going on, with one blogger saying “there is always room for improvement….in my opinion 60% is considerably inadequate.” Another blogger was unwilling to pat the company on the back either stating that the company would get a “thumbs up” when they reached 85%-90%. The role of oil as a vital source of energy to the world is expected to continue for the long term despite the growth of alternatives, Amin Nasser, CEO of Saudi Aramco, said this week. He also said that the world cannot prematurely disengage from proven and reliable energy sources like oil and gas, and the falling investments in oil with $1 trillion already wiped out is cause for concern to global energy security. Deployment of alternative energies is complex and will take time as part of the world's long term energy transition, Nasser said. Saudi Aramco produced a record 10.5 million b/d of oil in 2016 and plans to invest $300 billion over the coming decade, Nasser said. At the World Petroleum Congress in Istanbul being held this week, Nasser reiterated in a keynote to heads of state, government ministers, and executives that new investments are necessary and crucial to ensuring global energy security. Nasser offered insights on the future of energy and how Saudi Aramco is transforming in the effort to meet new economic realities and industry demands. Noting historic trends that saw a rise in absolute demand for legacy fuels despite a drop in market share, Nasser predicted in the next 25 years a doubling of the world economy, plus an additional 2 billion energy consumers, resulting in a lengthy energy transition that alternative sources such as renewables cannot adequately support. "There's a growing belief that the world can prematurely disengage from proven, reliable energy sources like oil and gas, on the assumption that alternatives will rapidly deploy," Nasser said. "About $1 trillion in investments has been lost in the current downturn, concurrent to growing oil demand and the natural decline of developed fields. Conservative estimates suggest we need about 20 million [additional] barrels per day over the next five years to counter these effects." The volume of conventional oil discovered around the world halved over the past four years, compared with the previous four, according to Nasser, leading to an investment shortfall and the start of a cycle that may inhibit a future energy transition. Nasser identified three areas that can build resilience and discipline for the transition: available supplies, cost structure and portfolio integration, and emissions reduction. Addressing supplies, Nasser said, "Saudi Aramco plans to invest more than $300 billion over the coming decade to reinforce our preeminent position in oil, maintain our spare oil production capacity and pursue a large exploration and production program centered on conventional and unconventional gas resources." Portfolio integration is also important, as Saudi Aramco emerges as the world's largest and most integrated energy producer, according to the company. The company has identified refining and chemicals, among other areas, as key drivers of long-term value and growth. Leveraging innovation and technology to make the use of oil and gas ultra-clean relates to Saudi Aramco's commitment to the Paris Agreement on climate, the company said. "We aim to double our natural gas production to 23 billion standard cubic feet per day (scf/d) over the coming decade, and raise the share of gas in the kingdom's utilities to about 705, the highest of any G20 nation," Nasser said. "We have collaborated with many oil and gas companies to promote low-emission solutions, to include our commitment to the Oil and Gas Climate Initiative's $1 billion investment fund to develop and rapidly deploy those technologies." Nasser also said that Saudi Aramco is prioritizing the direct conversion of oil to petrochemicals as a major part of its long-term strategic focus. The company is also investing in solar energy, having launched a phased program to build an initial renewable capacity of 9.5 GW by 2023. While the industry can take pride in a history of significant economic contributions, it must adopt a future strategy calculated for the energy transformation, he added. "Industry leaders and policy makers must develop an aligned and compelling narrative to attract the level of investments we need," Nasser said. "Part of that effort will be transforming our own business model to ensure that oil and gas are not just proven, reliable energy sources, but are as clean and affordable as possible, without compromising the world's energy security," he said. Saudi Aramco is the state-owned oil company of Saudi Arabia. It said that it has proven conventional crude oil and condensate reserves of 260.8 billion bbl. Its average daily crude production is 10.5 million b/d, and it has stewardship of natural gas reserves of 298.7 trillion standard cubic feet.Headquartered in Dhahran, Saudi Arabia, with offices and operations throughout the kingdom, it employs more than 65,000 workers worldwide.Its subsidiaries and affiliates are located across the globe in Saudi Arabia, China, Egypt, Japan, India, the Netherlands, the Republic of Korea, Singapore, the United Kingdom and the United States. 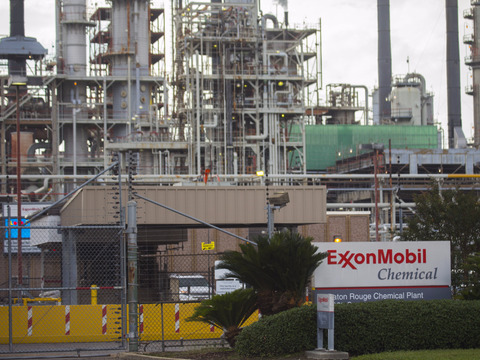 In the U.S., Saudi Aramco is the owner of Motiva, a refiner and fuel marketing company. VLCCs saw more activity and increasing rates ex MEG during the end last week. However, disappointingly for owners, activity dwindled in the past few days, due to less demand in the spot market, Fearnleys reported. The market needs to see more action to avoid rate levels starting to ease off again. Owners are hoping that the soon to be released BOT stem nominations will support them, but on the other hand, the supply situation looks ample. For charterers, it was a game of patience in the Suezmax market. Throughout last week, there was sustained pressure from key owners driving a bullish sentiment, due to tightening lists reflecting some pressure on fundamentals, especially in West Africa with increased volumes of cargo steadily eroding tonnage. Finally, one by one owners realised that there was very little to support any rate upward movement and by the end of last week, stability had returned with last done levels being achieved at WS65 for TD 20, as the market found a balance. The Med and Black Sea saw limited enquiry and stability has also prevailed with TD6 going sideways at WS75. This week has started on a quieter note with first decade of August dates in West Africa being lighter than last month. The trend going forward is stable and time will tell if charterers can find a way to squeeze owners further. North Sea and Baltic kept moving sideways at bottom levels, as charterers fixed further forward than has been seen recently. The tonnage list is thinning out, but nevertheless, we expect rates to stay unchanged and the week to end on a quiet note. In the Med and Black Sea, owners finally saw some positive market signs. High cargo activity last week thinned out what seemed to be an endless tonnage list, and as a result, owners are now pushing for higher numbers. At the time of writing (Wednesday) WS80 was the going rate, but as we have fixed far forward, and there still are some prompt ships left on the list, we do not expect rates to go much further for the time being, Fearnleys concluded. 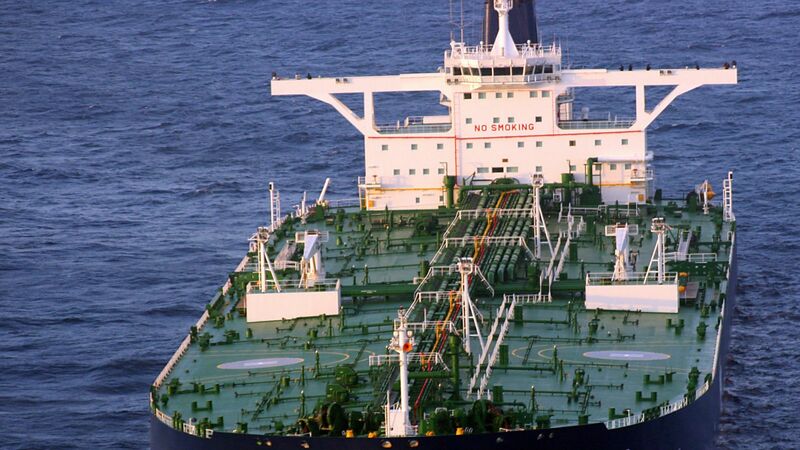 Turning to Asian product tanker trades, Ocean Freight Exchange (OFE) said while this segment may not be as dire as the crude tanker sector, newbuilding deliveries are expected to continue to keep a lid on product tanker rates in Asia over the third quarter of this year. The pace of deliveries is expected to pick up in 2H17, bringing the net fleet growth this year to 3-4%. Around 30% of the expected LR2 newbuilding deliveries and 25% of expected LR1 deliveries this year have already entered service. On the demand side, higher June and July naphtha inflows from the West on the back of a wide East/West spread have led to a build-up in buyers’ inventories. As such, this is likely to displace some flows into Asia, resulting in less movements along the benchmark AG/Japan route and further pressuring LR rates in 3Q17, OFE said. 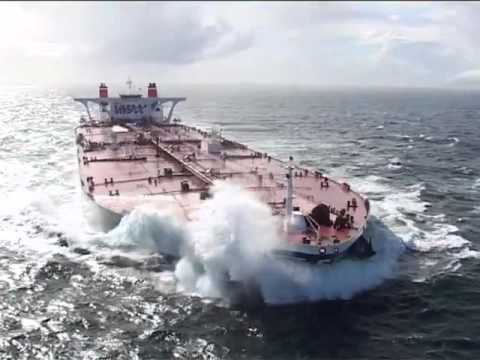 According to Platts, around 1.2 - 1.3 mill tonnes of European naphtha is expected to arrive in Asia in July (flat month-on-month), almost 20% higher than the year-to-date monthly average of 1.02 mill tonnes. Moreover, while North Asian naphtha import volumes are relatively steady, naphtha imports into China have been dropping steadily, due to increased domestic output. Chinese naphtha imports during January - May were down by 22.2% year-on-year to 154,000 barrels per day, and are expected to continue easing over 3Q17. The strength in the Asian gasoil market has led to a persistently strong EFS, which has kept the East/West arb closed this year, resulting in less LRs moving along the key AG/Europe routes. This is expected to continue to weigh on the Asian LR market in the third quarter. Things look a little brighter for the Asian MR segment, which has recently rebounded from multi-year lows. Chinese product exports in 3Q17 are likely to be supported by the recent release of the third batch of fuel export quotas, the conclusion of the refinery maintenance season, as well as lower domestic demand for gasoil, due to a nationwide fishing ban. The third batch of fuel export quotas (under both processing trade and general trade terms) stand at 15.4 mill tonnes, which is 231% higher than the previous batch and 152% higher year-on-year. This leaves much room for exports to grow in the third quarter, which could help to keep a floor under MR rates, OFE concluded. TOP Ships announced this week that it had entered into two joint venture agreements, on a 50:50 basis, with trading house Gunvor Group for two 50,000 dwt product tankers ‘Eco Holmby Hills’ and ‘Eco Palm Springs’, currently under construction at Hyundai with expected deliveries in the first and second quarters of 2018, respectively. The company had previously announced that it had acquired 49% of each vessel and prior to entering into the joint ventures, increased its shareholding to 50%. Top Ships also announced that upon their delivery from Hyundai, they will enter into timecharter employment with Clearlake Shipping, a subsidiary of Gunvor for three years firm, plus two additional optional years. The total potential gross revenue backlog from these contracts is estimated to be about $55 mill. Odfjell confirmed that the transaction to acquire five stainless steel newbuildings and its intention to form a pool of 15 x 25,000 dwt vessels has been completed. The first vessel will be delivered on 14th July, 2017 and the remaining four newbuildings will be delivered intermittently to May, 2018. 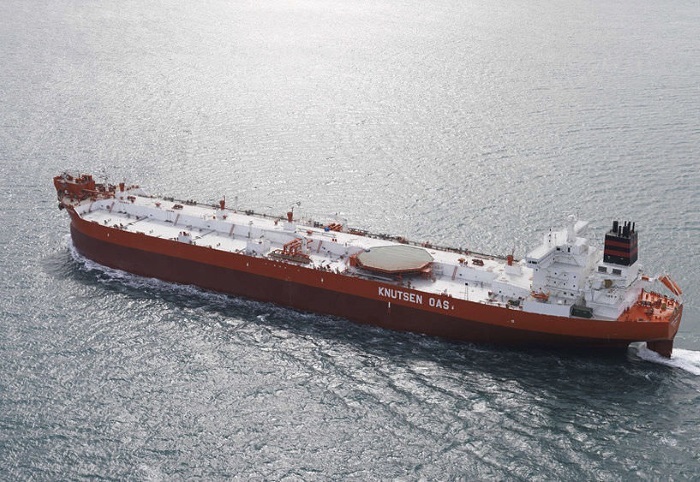 Odfjell said that the five wholly-owned newbuildings and the formation of the pool are expected to have a positive contribution on its returns and will strengthen its position and competitiveness in the current state of the chemical tanker market. In the charter market, brokers reported that the 2003-built VLCC ‘Voyager 1’ had been fixed to Shell for three months at $19,000 per day with an option for a further six months at $20,000 per day. Trafigura was said to have fixed the 2007-built VLCC ‘Gener8 Atlas’ for one to two months at $23,000 per day. In the MR segment, Cargill was believed to have taken the 2012-built ‘Miss Benedetta’ for two to five months at $13,500 per day, while Navig8 Product Tankers was thought to have fixed the 2009-built sisters ‘Navig8 Strength’ and ‘Navig8 Success’ for 12 months at $11,500 per day each with options for a further 12 months at $13,500 per day. Turning to S&P deals, the 2003-built Aframax ‘Amba Bhavanee’ was sold at auction for $5.6 mill. The vessel is out of class and has been idle at Aruba since 2013. Another Aframax, the 2003-built ‘Gener8 Pericles’ was thought committed to Far East interests at $11.7 mill. The1998-built MR ‘Maritime Yuan’ was said to have been sold to undisclosed interests for $4.5 mill, while the 2002-built MR ‘Jenny’ was reportedly sold to Indian interests for $10 mill with her special survey passed. The 2002-built Handysize ‘Acquaviva’ was sold for $9.5 mill to Nigerian interests identified as Matrix, while the 2004-built Handysize was thought sold to Indonesian interests for $10.8 mill. Leaving the fleet were the 1993-built VLCCs ‘Aura’ and ‘Bright’ said to have been sold for $330 per ldt each to unknown breakers on the basis of ‘as is’ Khor Fakkan. The 1997-built Suezmax ‘Blue Trader’ was thought sold to Bangladesh breakers for $378 per ldt on the basis of ‘as is’ Singapore. Finally, in the newbuilding sector, Central Shipping ordered two, option two LR2s at Hanjin for $50 mill each. The high price was said to be down to their very high specifications. They are due to be delivered in 2019. Daewoo Shipbuilding & Marine Engineering is to build another four VLCCs for Maran Tankers Management, according to Yonhap News. DSME will deliver the 318,000 dwt vessels by 20th August, 2019, the shipbuilder said in a regulatory filing, the news agency said. Oil climbed higher after an industry report was said to show U.S. crude stockpiles fell by the most since September. Crude inventories declined by 8.13 million barrels last week in the American Petroleum Institute report released Tuesday, people familiar with the data said. It would be the biggest drop since September when compared with EIA data. Earlier Tuesday, the agency cut its 2018 crude output forecast to 9.9 million barrels a day from 10.01 estimated in June. “That’s certainly a bullish number if confirmed by the EIA report,” James Williams, an economist at London, Arkansas-based energy-research firm WTRG Economics, said by telephone. A large draw at Cushing would also be supportive, he said. Stockpiles probably slipped by 2.45 million barrels last week, a Bloomberg survey showed before an Energy Information Administration report Wednesday. Oil has traded below $50 a barrel since May amid concern that rising global supplies will offset curbs by the Organization of Petroleum Exporting Countries and its partners including Russia. Increases in output from Libya and Nigeria, as well as rising U.S. rig count and production, have been diluting the impact of supply curbs. OPEC needs to increase output cuts with little public announcement in order to jolt investors, Goldman Sachs Group Inc. said. West Texas Intermediate for August delivery advanced to $45.76 a barrel at 4:52 p.m. after settling at $45.04 a barrel on the New York Mercantile Exchange. Total volume traded was about 38 percent above the 100-day average. Brent for September settlement rose 64 cents to end the session at $47.52 a barrel on the London-based ICE Futures Europe exchange. The global benchmark crude traded at a premium of $2.29 to September WTI. The EIA lowered its forecast for 2018 production for the first time since the agency started posting the estimates in January, the Short-Term Energy Outlook showed. 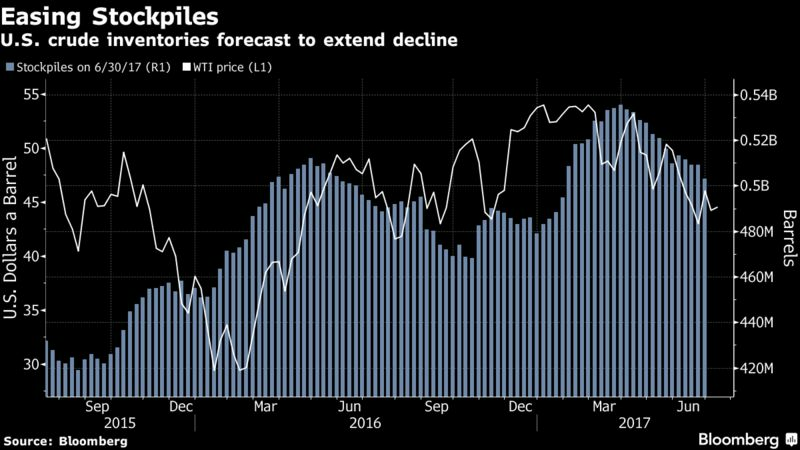 Crude stockpiles at Cushing, Oklahoma, the delivery point for WTI and the biggest U.S. oil-storage hub, probably dropped by 1.4 million barrels last week, according to a forecast compiled by Bloomberg. Saudi Arabia told OPEC it pumped 10.07 million barrels a day in June, a person with knowledge of the data said, exceeding its production limit for the first time since brokering a deal to curb global crude supply to counter a glut. JBC Energy sees “good selling opportunity” in any oil rally toward $50 a barrel, according to an emailed report. 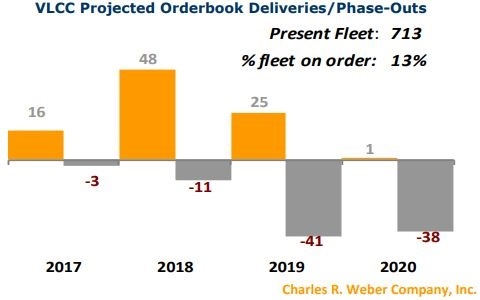 Despite 29 fixtures for VLCCs being reported last week, a notable week-on-week increase and a further 30 Middle East cargoes expected to materialize in the coming weeks, shipbroker Charles R. Weber expects that they won’t be enough to cater for all the ships available, with 44 VLCCs ready to take on cargo. According to the shipbroker’s latest weekly report, “rates in the VLCC market continued to hover in the same range that has prevailed over the past month with participants unable to make a sufficiently strong argument to move rates concertedly in either direction. Supply/demand fundamentals, however, appear to have tightened following robust spot cargo coverage during the July Middle East program’s first two decades and a reduction of overall supply from floating storage, STS activities and units in dry dock – as well as sustained draws on Middle East availability to service West Africa demand”. According to CR Weber, “the tightening is illustrated by a likely decline in surplus tonnage. With 98 Middle East cargoes covered to date, we anticipate a further 30 will materialize. Against this, there are 44 units available, from which draws for West Africa demand should account for six, implying an end‐ month surplus of just 8 units. This compares with 19 surplus units at mid‐July, illustrating the tighter fundamentals and suggesting forward rate strength. Complicating positive rate progression on this basis has been uncertainty over the precise number of remaining cargoes, with some participants suggesting a steep drop off in demand during July’s final decade – as well as the fact that disadvantaged units currently account for nearly a third of the total position list. However, small gains were realized at the close of the week and possibly reflect the reality of a tighter market, if still somewhat tenuous”. 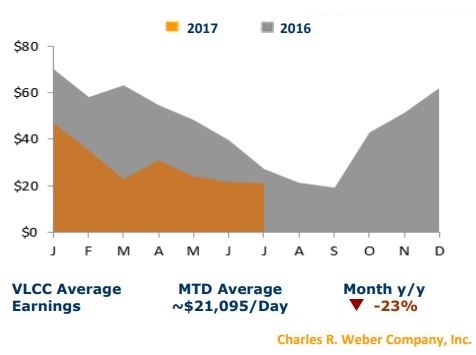 Meanwhile, CR Weber noted that “this week’s demand was relatively strong with 29 fixtures representing a 53% w/w gain and 9% more than the YTD average. In the West Africa market, the weekly tally rose by two to eight fixtures, or 19% more than the YTD average. During the upcoming week, the pace of demand in the Middle East should sustain as charterers cover remaining July cargoes, which could further expose the tighter fundamentals – provided the remaining cargo tally hold up to expectations – with the combination of tighter fundamentals and an active pace finally allowing owners to make command more meaningful rate gains. Rates on the AG‐JPN route gained one point to conclude at ws51. Corresponding TCEs rose by 6% to ~$21,657/day. Rates to the USG rose by one point to ws25. Triangulated Westbound trade earnings rose by 4% to ~$25,698/day”. In the Atlantic Basin, rates in the West Africa market led those in the Middle East with the WAFR‐FEAST route gaining five points to conclude at ws60. “Corresponding TCEs jumped 18% to ~$27,116/day. Demand in the Caribbean market remained slow for a second consecutive week, leading rates to further modest erosion before overall VLCC market sentiment saw the losses regained. The CBS‐SPORE concluded unchanged, accordingly, at $3.50m lump sum”, said the shipbroker. In the Suezmax market, CR Weber said that “the West Africa Suezmax market was modestly stronger this week thanks to rising West Africa crude exports that have sustained elevated demand. A total of 17 fixtures were reported this week, representing a 13% w/w gain. Meanwhile, the four‐week moving average of regional fixtures jumped to its highest level since 1Q16. Stronger rate gains, however, were complicated by ongoing high availability levels created by a 13% expansion of the global fleet since the start of 2016. Rates on the WAFR‐UKC route added five points to conclude at ws65 with corresponding TCEs rising by 42% w/w to ~$7,258/day. Though forward West Africa demand appears positive in light of strong West Africa exports and a Saudi OSP cut for Asian buyers which could keep VLCC demand in the West Africa market from rising, substantial rate gains could remain elusive. Seaborne crude exports from Russia have continued to decline, with those in the key Suezmax Black Sea market impacted by declining exports and pipeline maintenance at Primorsk. Thus, we see limited further rate upside potential in the near‐term”, the shipbroker concluded.